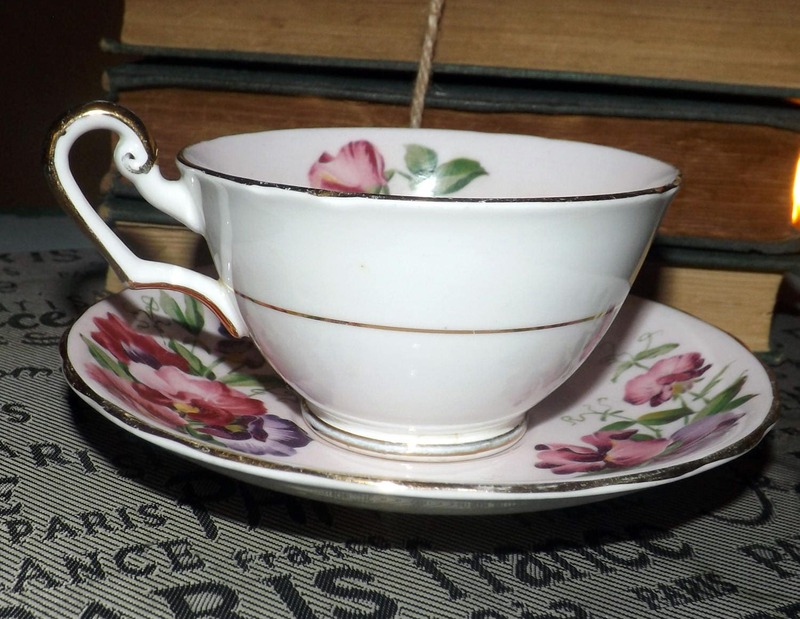 Mid-century (1950s) Windsor Bone China hand-painted tea set (flat cup with saucer). Pink, purple flowers, pink ground, gold edge accents. Mid-century (1950s) Windsor Bone China hand-painted tea set (flat cup with saucer). Pink, purple flowers, pink ground, gold edge + accents. 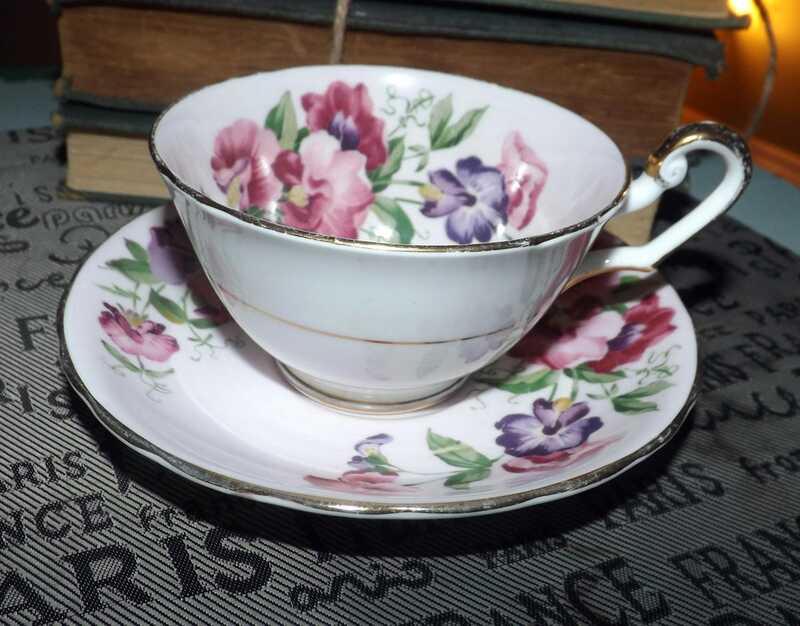 Mid-century (1950s) hand-painted Windsor Bone China tea set (flat cup with matching saucer) marked 387. Very pretty bursts of hand-painted pink and purple flowers and greenery set against a soft pink inner body with gold bands and an outer body of pure white with a gold outer band and scalloped, gold edge. This cup and saucer are both in EXCELLENT! condition with NO! chips, nicks, cracks, or fleabites, NO! crazing and NO! marks, stains, or scratches. 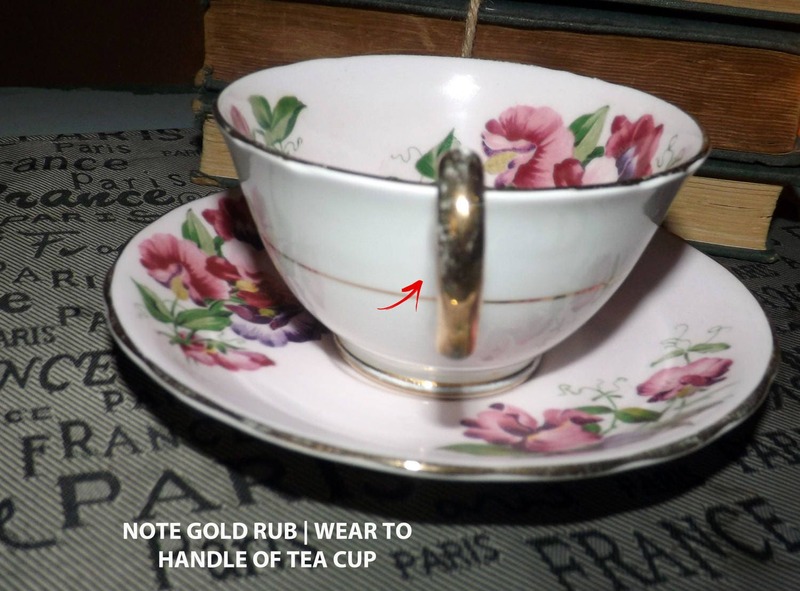 There is wear | rub to the gold, particularly to the side and underside of the cup handle and LIGHT! 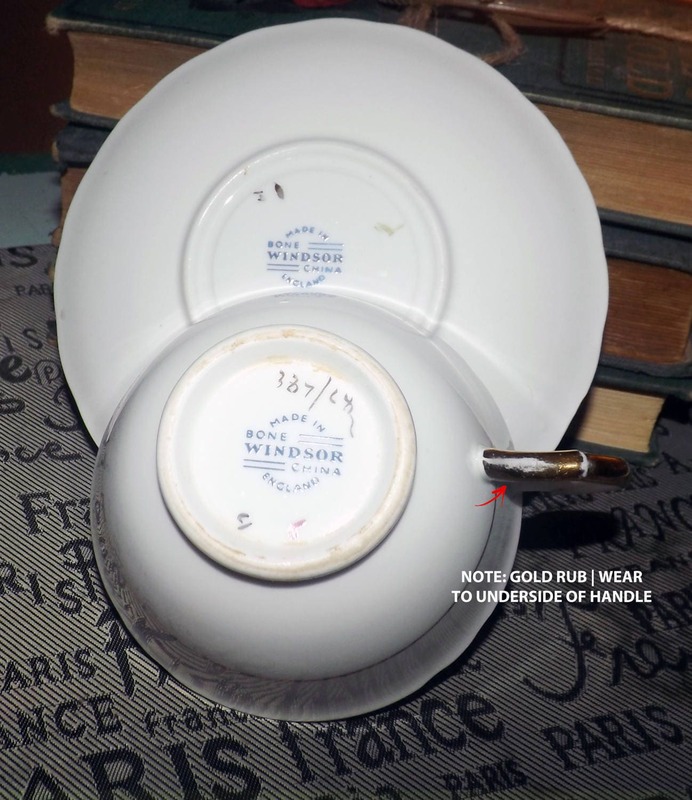 wear to the scalloped, gold edge of both cup and saucer (please refer to the posted photos, specifically photos 4 and 5, at the red arrows, to draw your attention to the affected areas). The hand-painted flowers and greenery are bright and vibrant with NO! noted fading. Pieces bear the artist's brush marks to base in pink and gold. 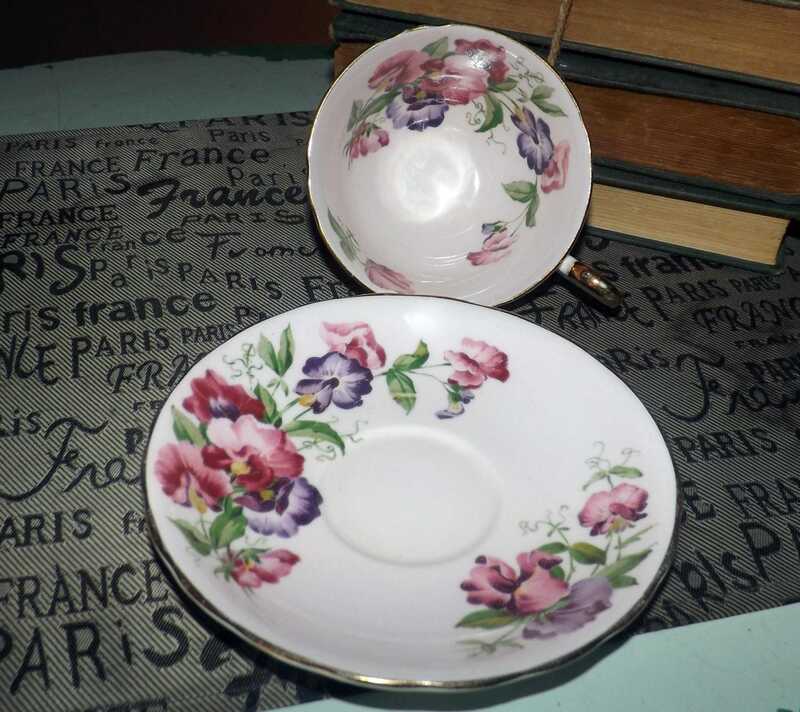 Approximate measurements: flat cup stands 3" with a wide 4-1/2" diameter bowl | matching saucer is 6-1/2" in diameter. Both pieces have a scalloped, gold edge.